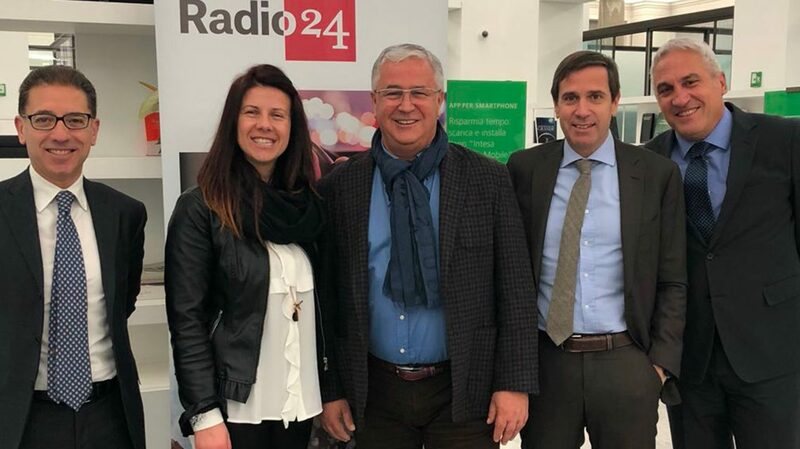 10 February 2018, an important day for our Chairman Giancarlo Traversa, who has been invited to appear as a guest on Radio 24 to tell the story of our company. The main objective of the interview was to highlight the stories of Italian entrepreneurs who have been able to create success for their companies. It was 1992... ‘We came from another sector, we were contractors in the field of boating, we worked for 15 years in that sector on the processing of fibreglass. We were tired of being contractors, so we looked around to find a product that we could make and sell with our brand, from a whole series of investigations, the composite sinks were developed, a product still linked to water – before, we made a product that floated on water and now we make a product that holds it’.